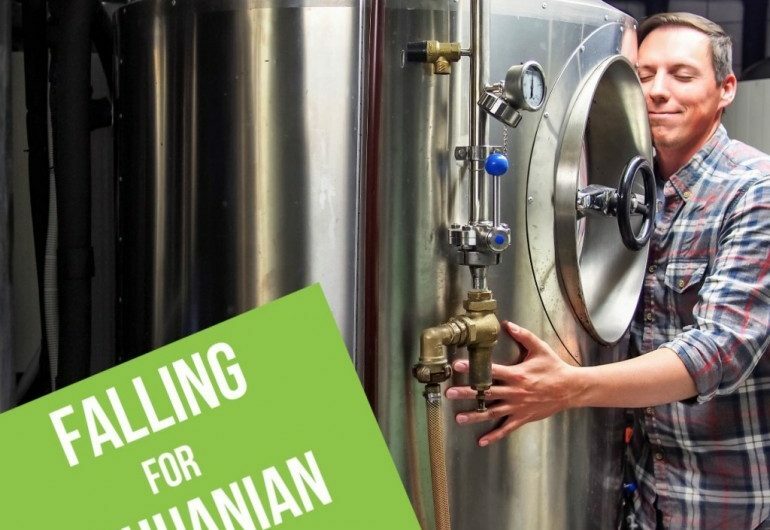 There are about 80 breweries of various sizes in Lithuania today. 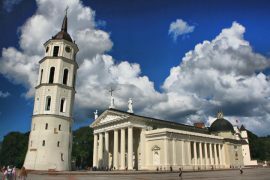 Although most of them are located in Northern part of Lithuania, where the old traditions of beer making are practiced today, Vilnius too, has an impressive beer culture worth checking out. Below you can find a list of breweries and brewpubs. 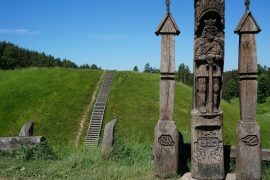 Some of them are located in the Vilnius Old Town, others are located just a few kilometers outside of Vilnius. Each of them has a great restaurant complementing the great beer they produce. Actually, Vilnius in Love is best known for guided beer tours – during which, we visit at least one of these brewpubs. As an old Lithuanian saying goes.. Although “you can never have too much of the good thing” – drink responsibly and have a great time! This is mini brewery/bar, where beer has been brewed for 17 years already: the first micro-brewery pub in Vilnius, and the longest established bar on the street. They are both facts of which the establishment is rightly proud, but in fact they really should be directing everyone’s attention to the beers that they serve. This family-owned brewery/bar produces lager, dark and black beer shoots directly from barrels to your glass. 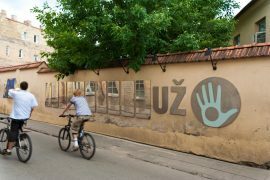 With own beer and Lithuanian cuisine, this is a place where locals feel right at home. If you‘re lucky, you might even get to see the brewery in the basement. By the way, if you were wondering about the name – it means ‘you will be third’, harking back to a Soviet tradition, when vodka cost three roubles a bottle and a bottle was often shared between three. “Tores Bravoras” (Tores brewery) – restaurant is located in an approx 4,5 km distance from the Town Hall, in the outskirts of Pavilniu Regional Park. They are proud of locally made dishes: cooked rye bread, hot smoked mackerel and sun-dried tomato paste. The restaurant offers european cuisine with national specialities – shank braised in beer,served with horseradish sauce and hot cabbage, pork ribs with marinated vegetables and baked potatoes, cheesecake with strawberry sauce, homemade rye bread. For those, who are thirsty, they offer locally brewed 4 kinds of unfiltered beer. „Brewpub in a heart of Vilnius!“ – that is how “Craft & Draft” pub and brewery represents itself and that is exactly what you will find when visiting this cozy and unique place in the capital: authentic beer to taste, good food and great company to enjoy it with. The brewery has most popular beer styles on tap, so you will sure be able to find something for your taste. Full name of the place is “CRAFT & DRAFT Brewpub and whiskey”, so whiskey lowers will surely find something to please them. Beer on tap iš brewed in place and for the moment Pilialaukis have up to 5 different varieties to offer. But if you don’t want to leave Vilnius, visit Alaus namai, where all Pilialaukis beers are offered. Address: Galvės str. 120, Trakai distr. “Leičių bravoras” is a little cosy restaurant, where under XIV century dome is an attractive hall for customers, where they can pour fresh beer themselves from a tap on their table. Beer pours directly from the barrel, cold and fresh, without any contact with air. Impressive beer barrels are to be seen through a glass wall, so that there were no doubts were from does the beer come. Hungry customers are going to have a chance to enjoy our delicious meals, which are made directly in the kitchen of brewery, or as a snack we are going to offer you real Lithuanian Skilandis, fresh homemade bread, baked in real old-fashioned oven, Lithuanian cheese and lots of other kinds of Lithuanian gourmets. The kitchen of “Leiciu bravoras” is open until the closure time of the bar, therefore you will not need to worry about hunger.